Home Unlabelled How to Save Big Money on Eyeglasses! When I find a deal, I have to share it with you guys. I recently came upon a website that is absolutely amazing for those of you who want affordable RX glasses. Oftentimes, even if you have insurance they only cover either contacts or eyeglasses. I'm in that boat. I wear contacts most of the time, so I would never have an up to date pair of prescription eyeglasses. I went to the eye doctor in February and ended up paying several hundred dollars on both contacts and glasses, ouch! I wish I had known about this site before I got the glasses...could have saved a bunch of money! There are a lot of great features including a Try-On Feature where you can put the glasses on a picture of a real person. You can also upload your own picture to the site, cool huh?They also have an Add to Favorites button so that you can just add your favorites to the cart. I find this makes the process easier since there are so many to choose from. I just add a bunch of favorites to my box and then I go through and "try them on". 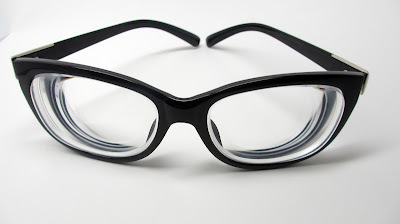 You can also narrow the type of glasses according to such features as "men, women, unisex, wire, plastic, etc." I chose a pair of funky, large plastic frames for $15.95. I finally got the nerdy pair of frames I wanted! The lady at the eyeglasses store convinced me to get a more subtle "age-appropriate" pair of wire framed glasses...those are fine for work & professional settings but these glasses are for the weekend! I love how they're so big so I don't get "tunnel vision" lol. I added on anti-reflective coating for an extra $5. Since my prescription is considered extra-strength I paid an extra $9.00. I chose mid-index single vision lenses at no extra charge...next time I think I might pay extra for a different type of lens that is thinner. At the end, my price was $29.90 and I paid $4.95 (flat rate) to ship. Not bad at all! Especially considering I spent $300 on eyeglasses at the Eye Boutique. The key to selecting your glasses is having your prescription information which includes a number called the PD. This is the distance between your pupils. Some eye doctors will give you this number after a check-up and some will make you pay extra. The website also gives you instructions on how to measure it on your own. My PD for example is 63. -the process can be a little lengthy - there are so many styles to choose from! -it can get a little confusing when you're trying to select the type of lens and features you want...i.e. I've had the glasses for a few weeks and love them! I don't even wear the pair of eyeglasses I got from the optical boutique. 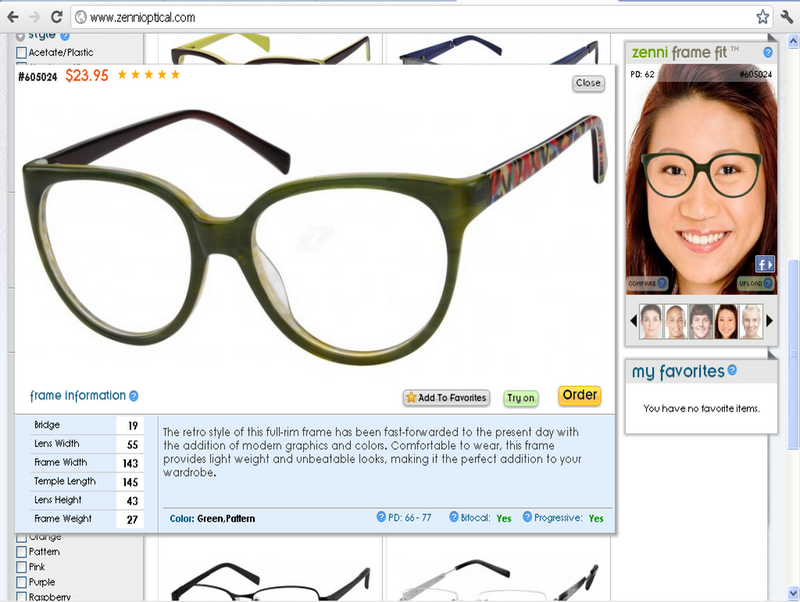 Even if you have eyeglasses, this is a great site to pick up a back-up pair, or a fun pair! I definitely recommend! You can find these products at www.zennioptical.com. They're currently running a buy 2 get 1 free special till March 14th! Enough glasses for the whole family! Oh I love this site! They just had a buy 2 get one free sale! I got three pairs of glasses for less than 50 dollars! Another satisfied customer!